Early childhood educator, keynote speaker, writer and product consultant. Let's Celebrate Young Innovators ! As we move into the New Year of 2019 we stop to look at the importance of childhood innovation. Here is part 2 of the article on Invent Something Together! 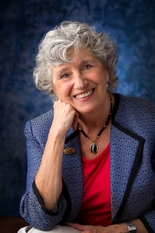 In the last blog I talked about Dr. Howard Gardner’s Theory of Multiple Intelligences and how this applies to the Kinderpillar educational programs. In this blog we will look at some of the fun ways we do this in our programs. One of the most fulfilling aspects of creating inventions with children is the way this type of activity brings the group together into an exciting collaborative experience. Children learn so much from the process of listening to and respecting each other’s ideas. Not only are they using creative and critical thinking skills…they are also building socio-emotional and teamwork skills they will use throughout life. Important turn taking and sharing skills are also strengthened in the process. In the classroom you can kick-off a focus on inventing together with a collective invention activity. Bring an interesting collection of recycled materials to your circle time. Ask children to brainstorm ideas for ways to use the materials. Ask thought provoking questions such as: What does this remind of you off? What could it become? What should we use as a base? How will we attach the materials? Record children’s ideas on chart paper. Discuss the ideas and collectively “vote” on a way to start inventing. Invite small groups of children to work on the invention throughout the day or week. As it grows and takes form, invite children to suggest what the invention could be or do! A classroom Invention Center is not standard in early childhood programs…but should be! It is the perfect places for children to explore and practice critical and creative thinking. Why do you need a special center for inventions and problem solving when it happens all around your room? The advantage to a special invention center area is that it focuses on the process of problem solving and gives children a place to explore materials using their individual interests, intelligences and skills. 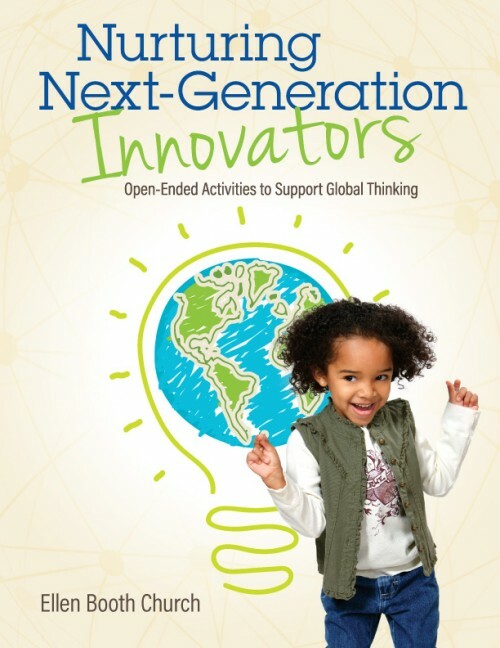 Perhaps of all of your classroom centers, the Inventions Center is your most open-ended. At a time when programs are being asked to be more accountable and focus on specific learning content and skills it is important to provide children with a “safe haven” to messy around with interesting stuff! Instead of concentrating on a particular topic or skill such as science, language, reading, math…this center brings together many curriculum areas and invites children to use essential process and thinking skills. It is important to note that you don’t need a great deal of extra space, expensive materials or even time in your day to create and use an invention center. Consider setting up an invention center for just a few weeks at first. Eventually you might want to consider it as a permanent fixture in your room. Use a large plastic storage bin with a lid. Stock the bin with basic art and construction materials in a smaller plastic bin or shoebox. Include items such as scissors, glue sticks, tape and scrap and construction paper. Organize recycled materials in individual shoeboxes. Label each box with a different shape, sticker, number or letter. This way children can find the items they want without needing to dig through a box of tangled scrap materials. Rotate the items periodically so children always have new surprises to invent with! Your Inventions center can become even more exciting and challenging when you give older children (five and six year olds) problem solving task cards to use with the materials in the Inventions Center. The symbols you used to label the different boxes of materials come in handy here. Present a problem by drawing/writing on an index card a series of symbols in an equation format. For example a problem solving task card using numbered boxes might say in drawings “Use items from box 1 + box 4 + box 7= to make a car.” Children can “read” the problem on the card, think about how to solve the invention problem, find the materials they need and start inventing! You can invite children to add art materials from other areas to complete their inventions. Interestingly, a group of children can all work with the same “task card” and come up with very different inventions! Grab Bag Inventions: Children love the surprise of finding “treasures” in a party grab bag. Your can use this approach to creating excitement for inventions. Prepare paper lunch or party bags filled with a variety of interesting scrap materials, including at least one item in each bag that can be uses as a base (such as paper page or tray) for the invention. Pass out the grab bags and invite children to consider: What can you make with the things in your bag? “How Many Ways” Box: Invite children to explore “how many ways” they can use a particular type of item. Choose from: spools, plates, paper bags, plastic six pack rings, or egg cartons. Children can explore all the different ways they can invent with and use this type of object. The Paper Box: Paper comes in so many interesting forms. Collect a variety of paper products (such as tubes, plates, bags, cups, small boxes, greeting cards and wallpaper scraps) for children to invent with. Not only do children enjoy sharing in the process of creating inventions together they also learn and grow through showing and sharing their creations with the group. You can plan a variety of ways for children to share their inventions with others. Create an Inventions “Museum” area where children can display their creations. Provide five by eight cards that children can use to write or dictate a title or story about their invention. How does it work? What does it do? Invite children to draw pictures in your writing or art center to show how they created their invention. Provide a tape recorder so children can “interview” each other about their invention. You will need to model the role of interviewer a few times before children can take on the role themselves. Play the tape at group time when a child is showing his invention. Have an Inventions group time periodically. This would be a time for children to demonstrate their inventions to the group. You can inspire the inventions in every learning center of your room. Just add questions! How many ways can you use a scarf, pillowcase, paper bag? What can you invent to carry your baby doll, your groceries? What do you need to change house corner into a pet store? What can you build that can park all the cars and trucks? How many ways can you build a bridge, castle, tower, etc? What can you invent that will keep the sand (or water) from leaking out of the colander (sieve)? What can you invent with newspaper and rubber bands? The value of creative thinking and inventing can be a difficult topic for parents to recognize and understand. Often parents are most worried about their children learning beginning reading and math skills than creative thinking. Parents may not understand how creative, critical thinking, and problem solving are a part of their child’s growth and development because these skills are not as tangible or easily observable. Gain Parental Support. Inventions may not have been part of their own preschool or kindergarten experience. Explain what children will be learning in your invention projects. Use some of the information in this article to write a simple handout or newsletter for parents. If they understand the purpose of the activity they will be more likely to support their child’s process. Instruct Parents. Parents may not recognize that the wonderful “invention” made of recycled materials their child brings home is the product of much thinking and experimenting. It can look like a piece of junk…certainly not art or science! Send home a note with the project telling about the process their child went through to make it. Mention the skills their child had to use to create the invention. Suggest questions the parent can ask to discuss the invention with their child. What can you tell me about your invention? How is it used? What does it do? Inform Families. You can help parents share in your joy of inventions by periodically sending home “I did it” messages. Just jot down in a sentence or two… something about an invention or other problem their child solved! Inspire families. Suggest activities families can do at home to experiment with Inventions. Suggest they choose a single item or material and explore all the possible ways to use it. How many ways can you use boxes? How many ways can you use a paper bag? Many Keynote speeches coming up - Stay Tuned! Keynotes coming up in West Virginia and Texas! "Raising Kinder, Less Entitled Kids". I will return to the Kinderpillar schools in India and Nepal in March 2019. Many new schools have joined in both countries. It is a delight to see these programs thriving. I am honored to be the Keynote at this important conference. Go to their website for more information. Visit the Rethasia Facebook page for photos of this wonderful event. My newest book is available from Gryphon House. It is titled Nurturing Next Generation Innovators. My book, Getting to the Heart of Learning (Gryphon House) has won several awards! One is from Tillywig Brain Child Awards and the other from Academics Choice Awards. Click the links below for more information. 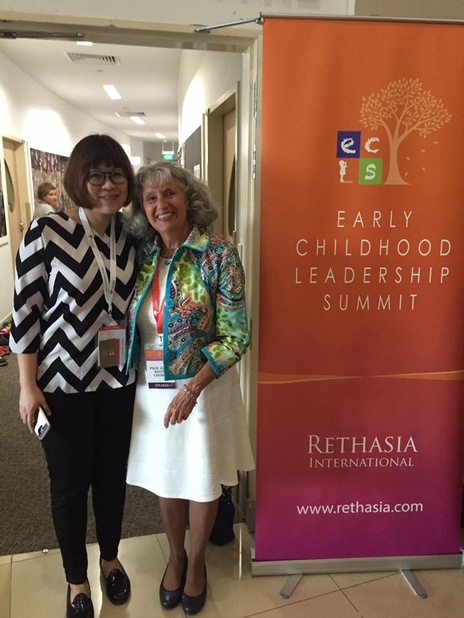 Nationally recognized early childhood expert, Ellen Booth Church spent several years as both a pre-k and kindergarten teacher before becoming an early childhood assistant professor at the State University of New York. She is currently an early childhood educational consultant, keynote speaker, curriculum/product developer, and writer dedicated to enriching the lives of young children and their families. She is an adjunct professor of early childhood at Nova Southeastern University. Ellen is currently writing for Gryphon House publishing. She is also a former columnist for Scholastic’s Parent and Child and Early Childhood Today magazines as well as the author of many books for teachers and parents. In the world of Children’s Television, Ellen has consulted for PBS, Nelvana, and Cartoon Network on a wide variety of projects. One is on Transitions and the other on Classroom Management.